The LUPA team met regularly with the NOVA Academy students. After learning the concept of land use planning and discussing what it means for themselves and for their community, they determined that focusing on CV Link would be the ideal way to reinforce what they learned and how all the various pieces of planning fit together. 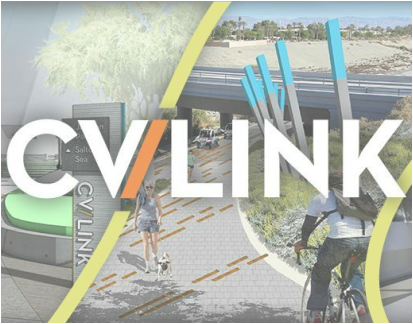 CV Link is a proposed 50-mile active transportation trail that would traverse along the valley from Palm Springs/Desert Hot Springs to the City of Coachella. One of the best opportunities they had to be a part of this planning process was by participating in the Health Impact Assessment (HIA) community workshops. The HIA was commissioned by CV Link's lead agency, the Coachella Valley Association of Governments (CVAG) and the County of Riverside Department of Public Health. This photovoice was the final product created in collaboration with each other, Coachella Unic., and the LUPA team. It was first shown on March 19, 2015 during the CVLink HIA public workshop and it has now become part of the HIA public record.